Smaller and more compact then mini NiMH batteries, but more powerful! 2 seperate wires.. 1 plugs into the charger, the other plugs into the AEG. Cannot put battery at bottom of Liposack as instructed without putting in charger too.. wouldnt be able to tell when its done charging. These cons come with having a LiPo battery.. theres no way around it. 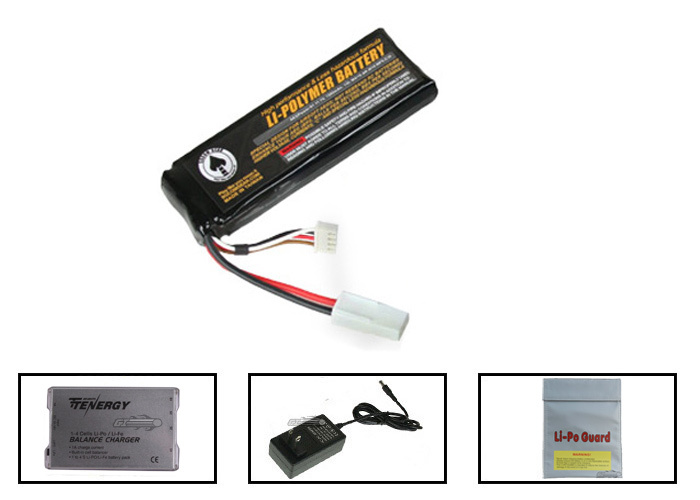 LiPo batteries are volatile and require great caution and care. If you take care of your LiPo and adhere to all the set guidelines for charging and use, you will not have a problem.